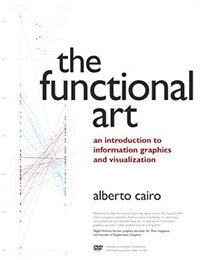 Every now and then I find a message in my Inbox asking for an information graphics and visualization reading list. As my students know, I love to recommend wonderful books. So here we go. Roam shows how to visually organize and display information using just pen and paper. This book is fun and includes tons of hand-drawn examples. The art director of The New York Times interviews one of the best infographics designers ever. 140 pages of insight. Malamed discusses the psychology of visual perception and cognition and offers good examples of information graphics. 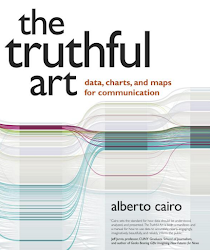 One of the best books about data and charts I know. See the post linked above to learn more. Cartographic concepts may be hard to grasp if you try to read an advanced textbook before going through the basics, so first read this shork book. When you finish, projection, scale, and symbolization will not be mysteries anymore. 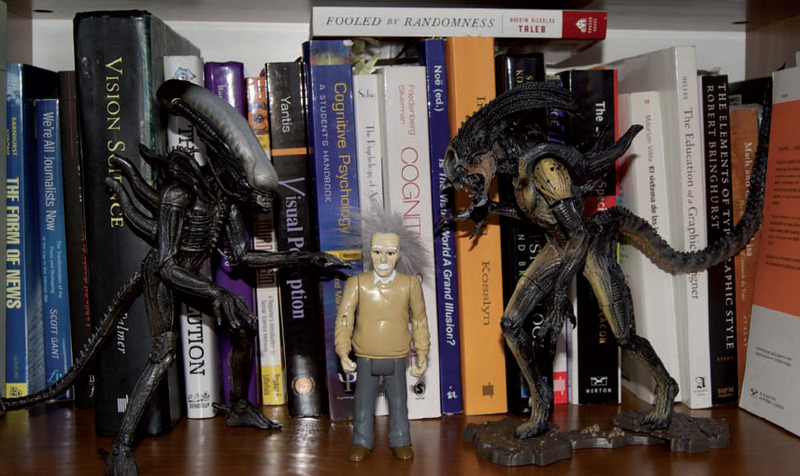 These are the books to get if you need some inspiration. They collect the annual Malofiej Awards, organized since 1992 by the Spanish Chapter of the Society for News Design. The text is bilingual (Spanish and English) and, besides tons of great graphics, these volumes include articles by leading professionals. A catalogue of good and bad practices in statistical graphics design. Very informative and well organized. 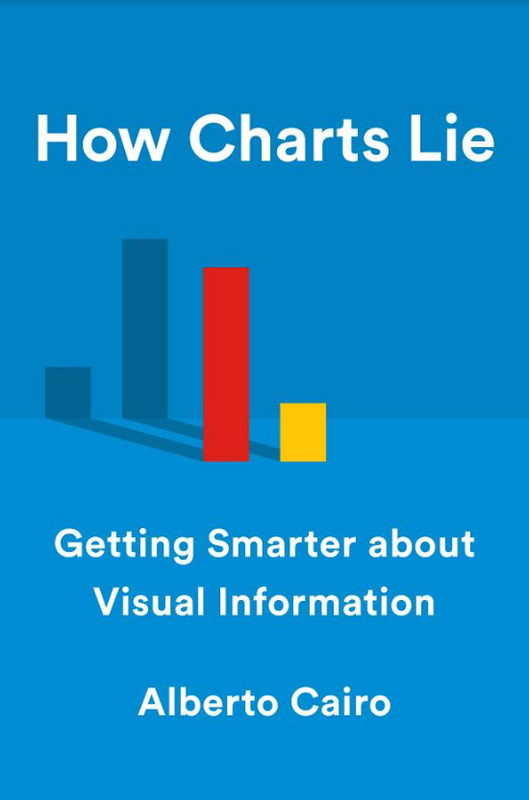 An elegant and beautifully illustrated short guide to charts, written with the news designer in mind. If you've heard about the FlowingData blog before, I don't need to introduce you to Nathan Yau. His book includes a short intro to graphics and then plenty of useful details about programming languages. This is the book I like the most in my small cartography collection, and it is probably the one from which I have learned the most about mapping. 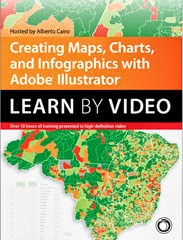 If you still don't know what a "choropleth" map is, then run to the bookstore. This impressive book was life-changing for me. Thanks to it, many things I did everyday at the newsroom suddenly made a lot of sense, while others stopped making sense at all. If you are following the reading path I suggest, before you get to this massive volume you may have gone through Ware's, so you will be ready for the oceans of fascinating information in MacEachren's pages. This is the most comprehensive explanation of why our brain is wired to understand visual spatial representations. A spartan-looking classic that may be hard to digest if you don't read Tufte, Few, and Robbins first. It is a must-read if you are serious about your career, though. See the column on the right for more readings suggestions.